the Creative Orchard: INSPIRE: Heavy Metal that Rocks! 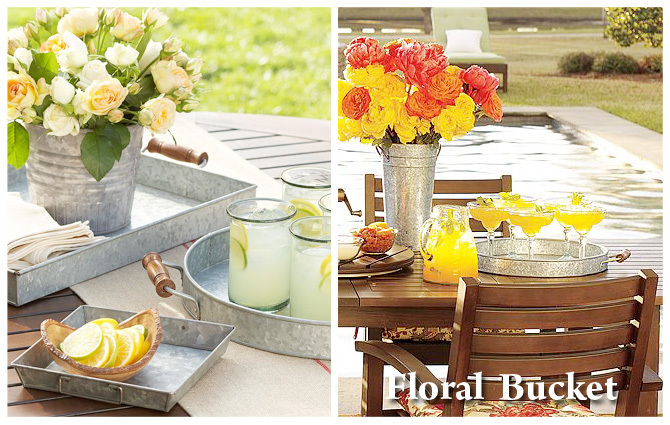 For this party picks post, I have picked galvanized metal. 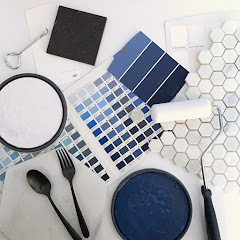 At first you might only think of watering cans, old bathtubs or troughs. 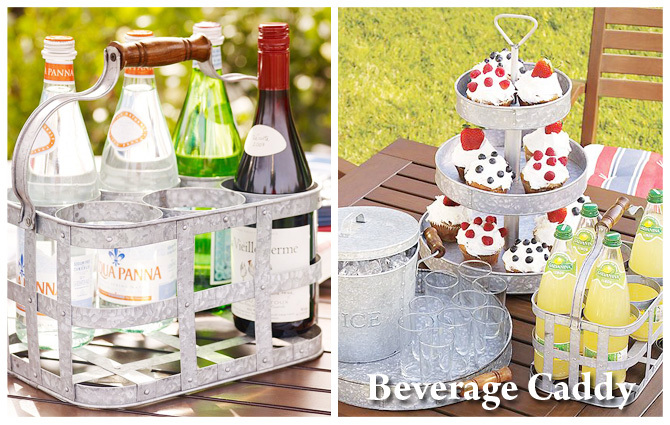 But now there are so many other galvanized metal options to choose from to accent your next gathering. 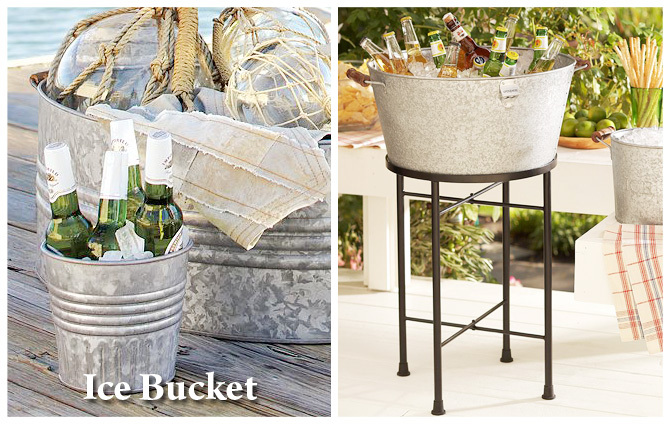 Ice buckets, tiered stands, planters, beverage caddies, serving pieces, trays, and more are available online and in stores! Galvanized metal is perfect for any party season because it is weather resistant, watertight, easy to maintain and develops a rich patina with age. 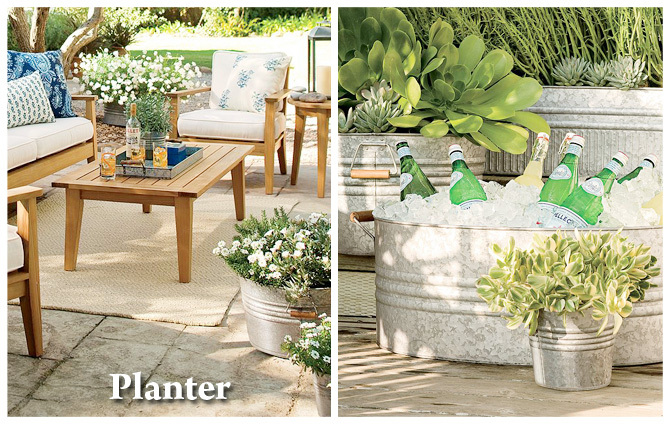 There are a variety of different ice buckets that are both functional and stylish. 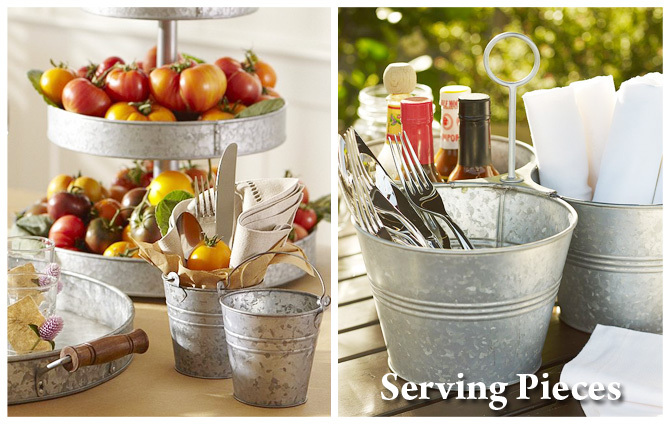 Use pails, buckets or planters for table centerpieces to display flowers, leaves, branches or succulents. 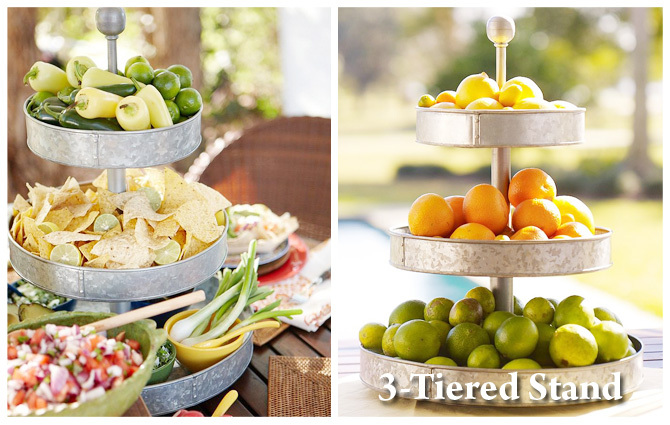 The 3-tiered stands are great for cupcakes, fruits, veggies and snack foods. 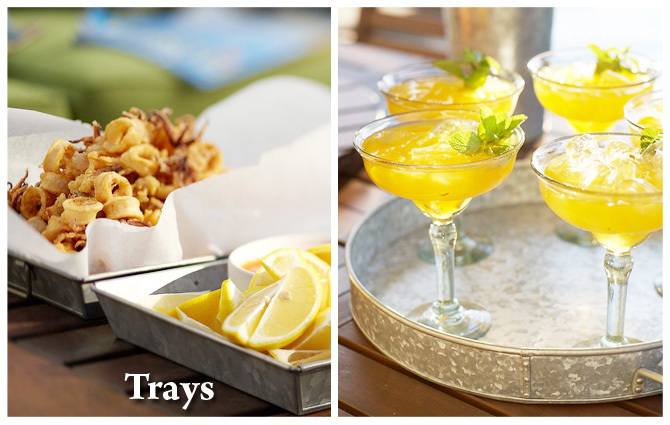 When entertaining, use trays to serve cold beverages or appetizers. 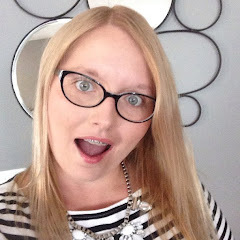 View some galvanized metal examples below to see why this heavy metal rocks! 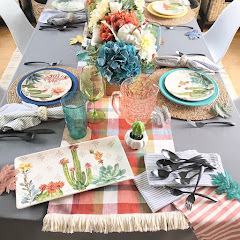 Each product was found online at Pottery Barn!